Join alumni and friends of Harvard Athletics at the first-ever All-Sport Reception in Los Angeles! Eat, drink, mingle, and get the inside scoop from special guest speakers, Bob Scalise, The John D. Nichols '53 Family Director of Athletics, and Chris Hamblin, The Branca Family Head Coach for Harvard Women's Soccer. Click here to register through the Harvard Varsity Club. As we work to bring Harvard Athletics to you, on the West Coast, please consider contributing to the success of the event by becoming an Event Sponsor! Sponsors will receive event recognition, 1 DHA sweatshirt, and admission for 1 to the event. All gifts to the HVC are tax-deductible. 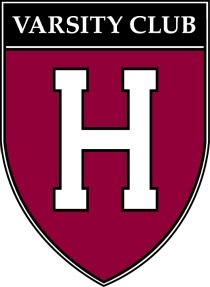 Bring your business card to be entered into a raffle for Harvard Athletics and Harvard Varsity Club gear!